HOTFIX: ALPHA 2 is missing some images for the Realm Status display. Please download and install this small patch to fix it. - Realm Status check on startup is not always working in this release. Just click on the refresh button in the lower left corner to do a manual update. 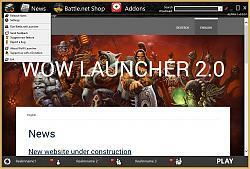 WoW Launcher 2 contains several tools and information for World of Warcraft players in one place. It could be seen as an extended version of the Battle.net Launcher. This is an early alpha preview and many features are still missing. But we want to get your feedback and suggestions! To see a list of the latest additions take a look at the "Change Log" above please. *You can suggest new features here. Just download the .zip file and extract it into a new folder. To launch the app doubleclick on "WoW Launcher 2.exe" or create a new shortcut for it. IMPORTANT NOTE: WoWL2 does not change any WoW Files. Just unzip the new file in the same folder and overwrite all files. All settings should be preserved. - The Battle.net shop has been replaced by the MMOGA shop. You will find cheap game codes, game time cards and more there. 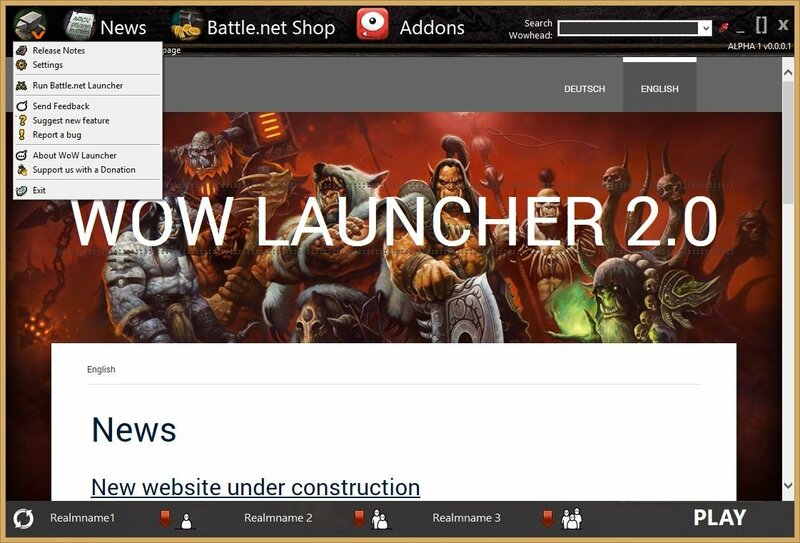 - Automatically checks whether a newer version of WoW Launcher 2 is available on startup. Other functions such as the start of TeamSpeak will follow in a future version. Please tell us your opinion and make suggestions or send bug reports via the menu in the upper left corner. Hi! I am currently working on the Realm Status display. 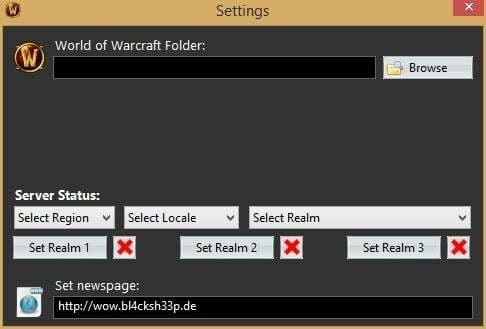 It allows you to check all realms in all regions. Coming in the next upate.